Tag stamp, Have a Bootiful Day! Tag stamp, 'Have a Bootiful Day!' 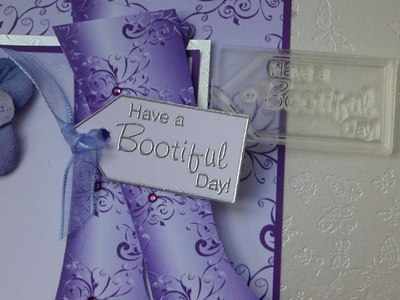 great for girly, shopping and fashion cards, shown here with the Purple Boot digi topper.